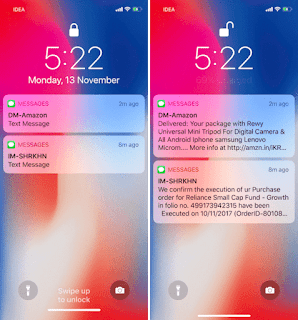 Many iPhone X users are facing issue with email and other notification which appear on the lock screen. Users get notifications, for example messages and emails, and can see them on the lock screen. And use Face ID to unlock the phone to see the preview of the messages before swiping up to go the home screen. The issue is once the Face ID unlocks the phone the email message notifications disappear but the other message previews stay. iPhone X removes the email notifications when the phone unlocks but leaves the messages as such. The issue is even reported with latest iOS11.2 . It is also reported that only Exchange messages are automatically cleared on unlock, but GMail messages behave as desired. It seems that the problem is just with Exchange servers, making this issue across many exchange email service providers. Surely Apple should get it fixed pretty quickly. The issue is very frustrating as this makes user to going back and forth between the mail app to make sure I haven’t missed an email. Apple should fix this issue when Email notification s from Exchange account auto-clear from lock screen as soon as Face ID sees me trying to read them. One working solution for this is to goto- Settings->Mail->(your account)->turn off "Show in History". Please note now you can’t see emails in my history, but it is better than the original bug. A slight work around is also possible that after it unlocks if you swipe up from the middle of the screen the email notifications are listed there. Delete your Exchange account then add it again. Some users report that this will fix the issue for some time but may occur again after some time. 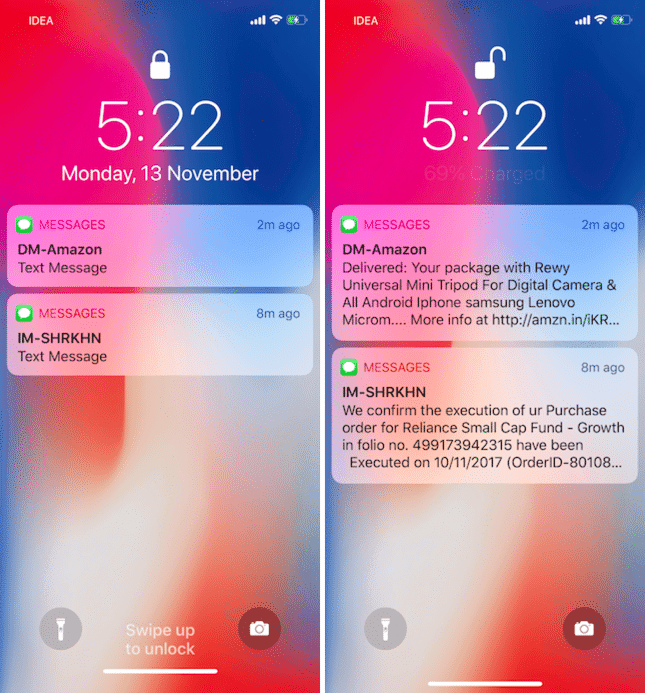 Great artikel nice info "iPhone X Email Notifications Clears when unlocked"